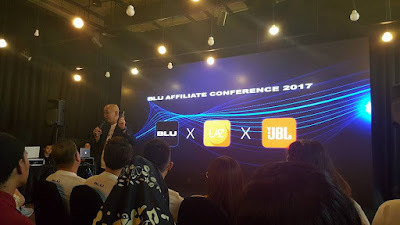 Last week, I took time off to attend Lazada Affiliate with BLU and JBL, the event was held at Talent Lounge Damansara. BLU, the American smartphone brand has finally made its debut in Malaysia today. Total 10 models have been revealed in Malaysian market by Hot Gadgets Distribution Sdn Bhd – the sole distributor for AKG, JBL, Harman Kardon, Mark Levinson, Revel, E-Blue and BLU, from entry-level to flagship model. 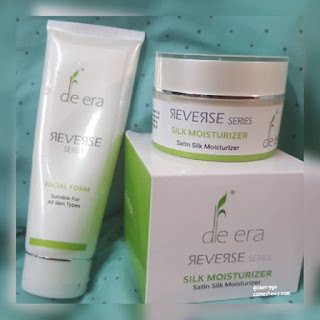 All of them are available exclusively on Lazada Malaysia. I am sure you like to check out bundle package, do scroll down to view them. 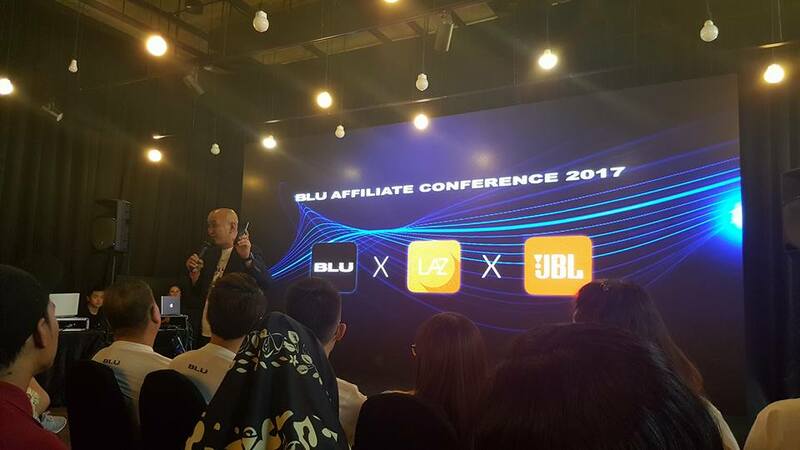 To celebrate the debut, Hot Gadgets will be bundling JBL audio products with BLU smartphones exclusively on Lazada Malaysia for limited period, from 25th April to 25th May 2017. 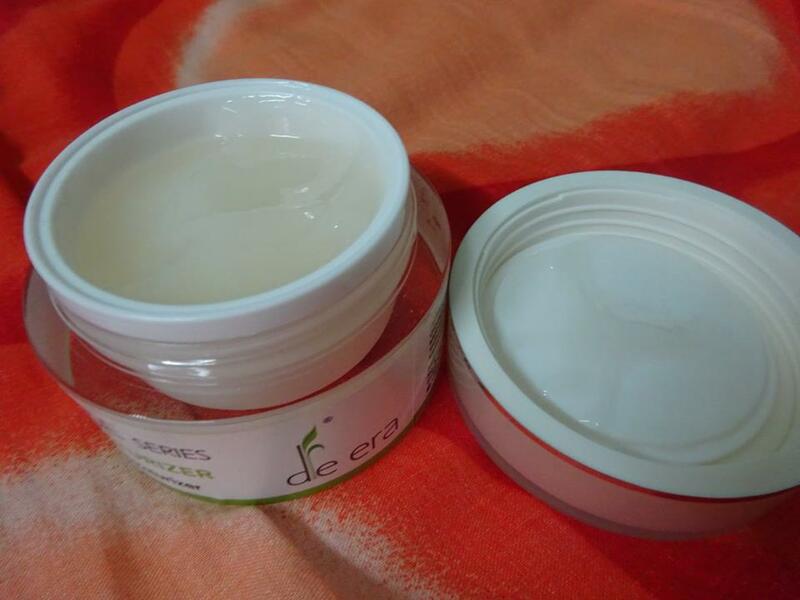 Promotion is valid while stocks last on a first-come-first-serve basis. Visit www.lazada.com.my/blu-official-store to enjoy this irresistible deal. Now you have got an idea on what to present your loved ones, psst.. Mother's Day is coming up. 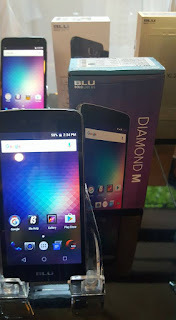 BLU Smartphones Product Range, you can also click link link to view them. 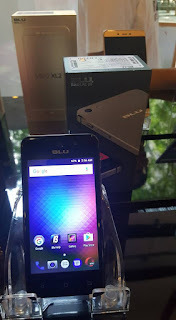 BLU Products, an American company is headquarted in Miami, FL with a warehouse facility over 80,000 sq. ft. BLU designs and manufactures affordable, attractive and innovative mobile devices focusing on fulfilling the needs of the everyday person. The company has been in the mobile industry since 1995. 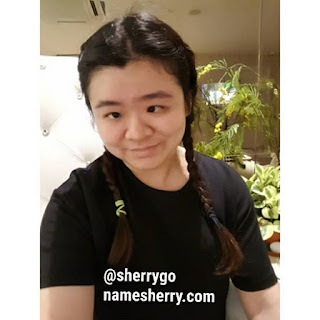 Being mommy of two boys, I am always on the go. I need to take care myself too besides taking care of my children. Always eat breakfast, exercise for an hour each day, also carrying a water bottle with me. Always remember that healthy habits for healthy living. 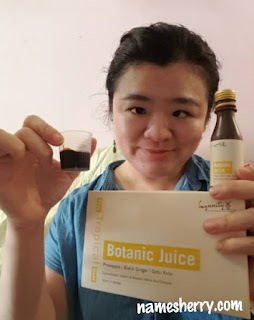 Sharing with you is this Lynnity, Lynnity (Let the Farm be your Pharmacy) believes that plants is the best way to support good health and always desire to discover the planet's natural wealth of superfood and share them with everyone. 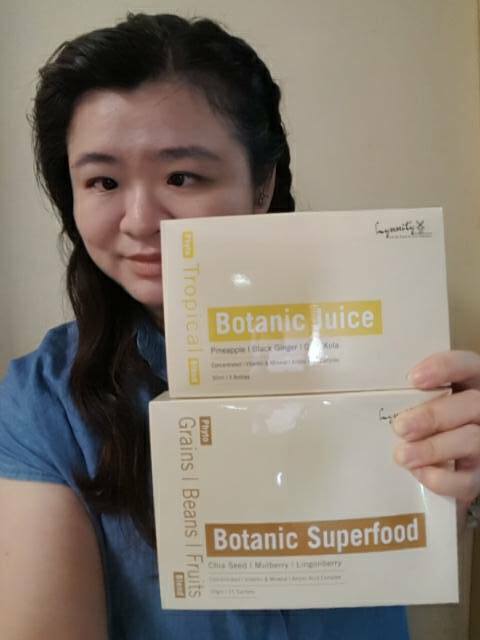 What I am holding in photo below are Lynnity Botanic Superfood and Botanic Juice. Phyto-nutrients are components of plants that are powerful defenders of health. Studies show that people who eat more plant foods have reduced risk of chronic disease such as diabetes, heart disease, and cancer. In the human body, phytonutrients stimulate system enzymes that help the body get rid of toxins, boost the immune system, improve cardiovascular health, promote healthy estrogen metabolism, and stimulate the death of cancer cells. Consuming an adequate amount of phytonutrients through food or supplements will help our bodies functioning at an optimum level. The Lynnity Botanic Juice (Tropical) supports weight management, cleaning, antioxidant level. 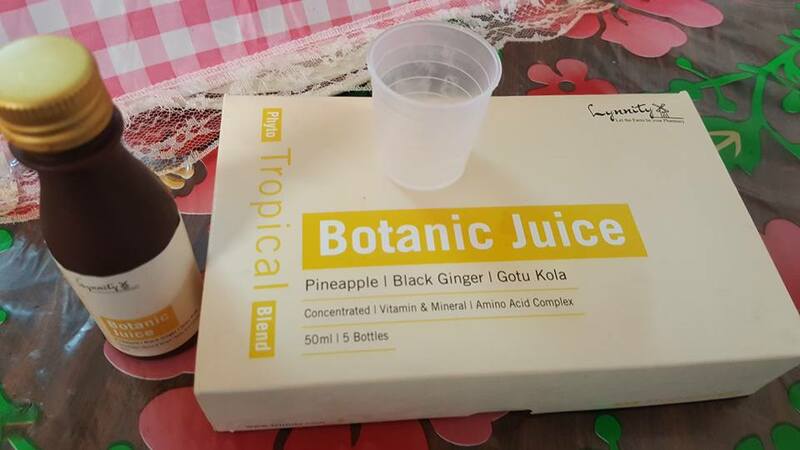 A box Botanic Juice contains of 5 bottles and a cup. Each bottle is 50ml. The key ingredient of the products are Pineapple, Mangosteen, Prune, Spinach, Celery, Parsley, Black ginger, L-carnitine, L-arginine, Taurine, Guarana, Gotu Kola (Centalia Asiatica). Convert large molecule of stored fats into energy and expend it - safe as well as effective fat burning solution. Stimulation metabolism - improve blood circulation system. Hormone regulation and improvement of lymphatic system - essential for cellulite appearance removal. Supply plentiful of vitamins, minerals, enzymes, protein, amino acids & other micronutrients - ensure the body receives a healthy amount of nutrients. Lower the C-reaction protein (CRP) level in the body and allow leptin accomplish its job as appetite suppresent - no more gluttony. Reduce the absorption of carbs, proteins and fats; prevent fats storage - to maintain the body curve. I like this as I can use this for weight management to maintain my weight. It can be taken with meal breakfast, lunch or dinner. Just pour 15ml into the cup which is provided in the box. If you find the taste is too strong you can mix it with water. 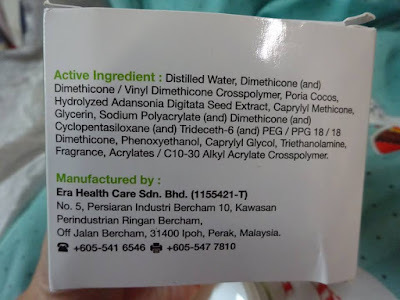 This can be drink with other supplement. After the consumption will you feel hungry? It is depend on individual because of an increase of body metabolism, some people will feel thirsty and hungry. Please drink more water and take some light fruit/vegetable/cereal. Avoid sweet drinks, carbonated drinks, and alcoholic drinks. Reduce the intake of food high in fats and carbohydrates such as roti canai, kuih koci, doughnut, food containing coconut milk, nasi lemak, fast food. Practice these to have a healthy lifestyle. 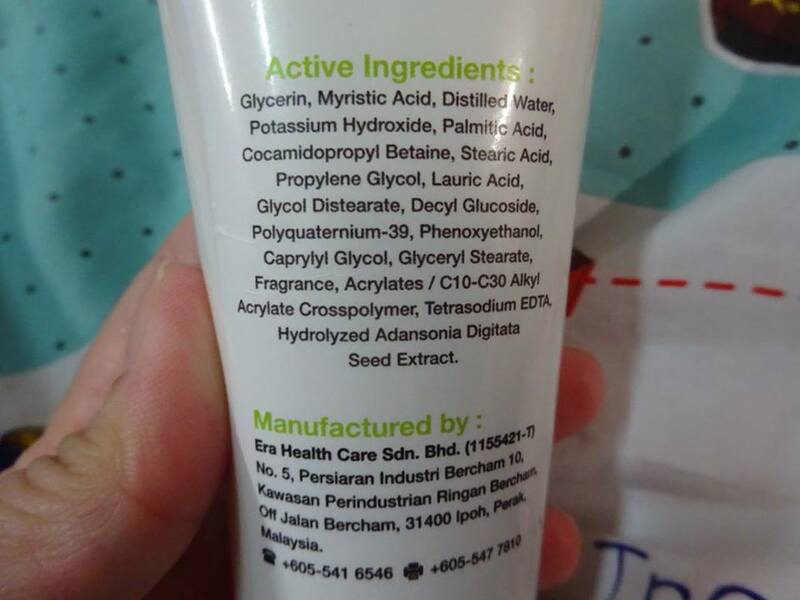 It is suitable for age 16 years and above, and can be taken as supplement. Pregnant woman and patients with illness and serious medication should seek advice from doctor before taking this product. Keep in cool and dry place. Keep away from children. Avoid direct sunlight. Lynnity Botanic Superfood supports eye health, body growth, brain development, energy and immune system. 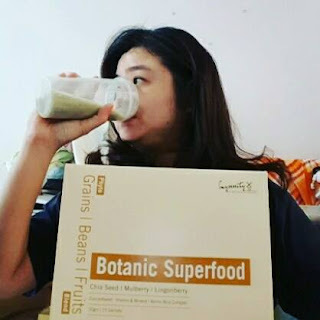 The four key food groups in Botanic Superfood are fruits, vegetable, grains and proteins. Busy mom like me always on the go to fetch my sons, shop for groceries and house chores. 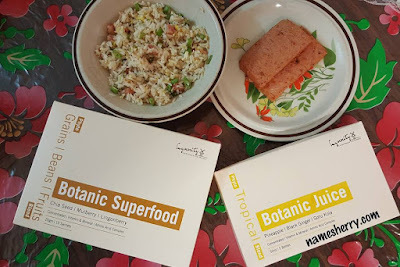 I have a light breakfast then I will take this Lynnity Botanic Superfood. A box of Lynnity Botanic Superfood has 20gm (15 sachets), mix a sachet with 200ml lukewarm water with shaker and consume with breakfast /lunch or dinner. It is also suitable for working adults to take this for working, as I know some people busy with working they would have their lunch in the office, then after meal can take this Botanic Superfood. **Nutritional Super Foods contains of Pomegranate, Black Ginger, Mangosteen, Oat Bran, Spirulina, Mulberry, Lingonberry, Chia Seed. I am sure most people would find it hard to include different variety of foods from four food groups into snacks and meals. Botanic Superfood (Phyto Grains, Beans & Fruits Blend) has it all! The drink is just nice for me, I drink it with the shaker. It is safe to take this before or after the Botanic Juice. 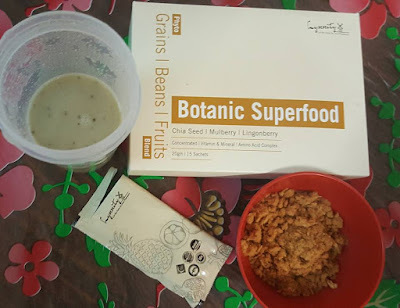 The Lynnity Botanic Superfood (Phyto Grains, Beans & Fruits Blend) is formulated to compose a nutritional-complete superfood from four key food groups to deliver a healthy eating, healthy living, and healthy family. Lynnity Botanic Superfood and Botanic Juice can be taken daily after meal. 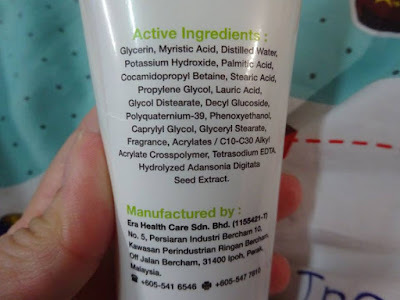 The products are made in Malaysia. 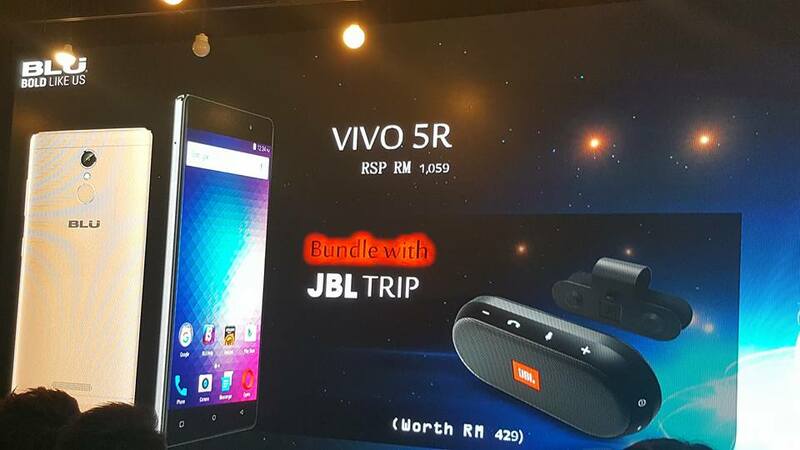 Who likes to know about the smartphones in Malaysia? 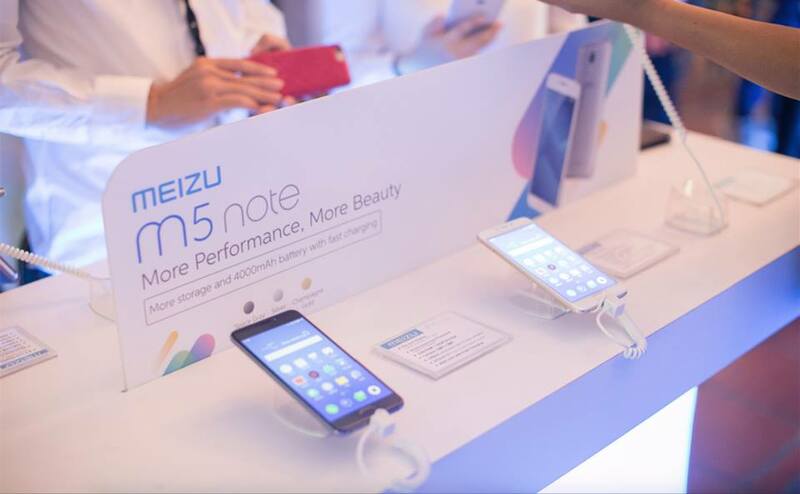 Now there's Meizu, one of world’s best selling smartphone makers, makes it debut to Malaysian market with its M3s and M3 Note. 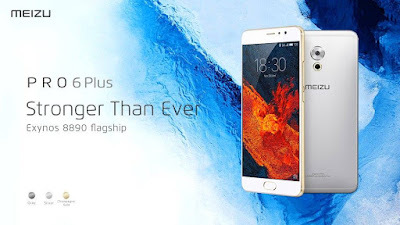 Now Meizu will add Pro 6 Plus and M5 Note to existing product line up for the Malaysian consumer, and will be distributed exclusively by Dynamics Distribution Sdn Bhd. Founded in 2003, Meizu has become one of the most influential smartphone makers in the world. The brand received US650 million investment from Alibaba Group Holding Ltd. recently, as part of a long-term strategic partnership, Alibaba also provides resources and supports Meizu in areas like e-business, Internet, mobile Internet services, smartphone systems, data analysis, and payments. With the enthusiasm for Meizu products, Meizu fans are driven to make the brand an iconic symbol of culture. In 2009, Meizu positioned users as the core value of the brand, leading to the establishment of MY+ (the online and offline community of Meizu fans). Currently, MY+ has around 2 million members in over 50 cities in more than 40 countries. 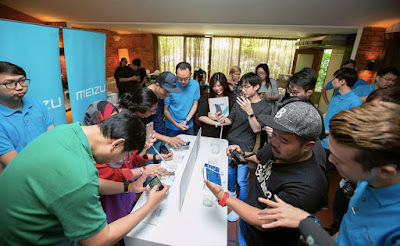 Malaysia is a new market for Meizu, adding more country to its network of international presence in Europe, Southeast Asia, the Middle East, Central Asia and Oceania. Members of the media trying the latest smartphones from MEIZU at the experience corner during the launch. The Director for Asia Pacific Region, Meizu Technology, Mr. Gary Xu said that the brand is enthusiastic about the Malaysian market. “The trend shows that Asia is the region that is leading the world in smartphone adoption and usage. 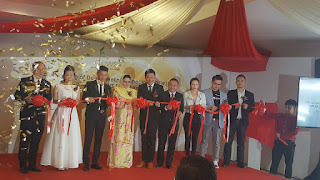 To venture into South East Asian market, we select Malaysia,” says Mr. Xu. “From simply meeting to discovering user needs, Meizu is dedicated to improving user experience, not only fulfills the users’ needs from functional point of view, Meizu presents art and beauty in its every product for our customers, this giant leap forward in refining the using experience of traditional smart phones, which we believe made our brand easy to enter and be introduced to Malaysia market.” says Mr. Xu. Touted as ‘Stronger Than Ever’, the Pro 6 Plus’ rocks a metal unibody with an exquisite micro-arc design and a redesigned body curve that underwent 30 steps and 150 hours of precise craftsmanship. Turn your head too quick, and you’ll miss its unique and fine details such as the CD line camera, its ring flash and the minimalistic antenna design. Under the metal unibody is the lightning fast Exynos 8 processor with a frequency of 2.0GHz, is combined with efficient SCI Samsung architecture and a powerful GPU to create a perfectly integrated, state-of-the-art flagship chip that can take on any large-scale or demanding applications you’ll throw at it. In addition to the large 5.7-inch screen, the PRO 6 Plus has a Quad HD 2K resolution to match it. The screen module is only 1.65mm thin, but still thick enough to show its brilliance. Adding Samsung's Super AMOLED display, the screen allows for any viewing angle and displays colours clear and vivid. Packing a 12 megapixels back-facing camera, it takes stunning pictures and brilliant night time photos with 4-axis optical image stabilization, larger ƒ/2.0 aperture, 10-LED circular flash and 6P lens. The latest generation high-performance ISP image processor also significantly improves colour reproduction, sharpness and noise reduction in photos and videos. Other noticeable innovations from Meizu also include a 3D press innovation, which can show an app preview by pressing the app icon. Its fingerprint accessibility that has been optimized for super speed fingerprint recognition. It also ditched the old micro USB and incorporates the latest USB standards: Type-C and USB 3.1that supports transmission bandwidth of 5Gbps and Meizu’s fast charging technology. mcharge is another latest innovation from Meizu, its fast-charging batteries with a total capacity of 3400mAh, a 30 mins charge can fill 60% battery easily, fast and secure. Standing by its tagline ‘More Performance, More Beauty’, the MEIZU M5 Note features an all-in-one metal body that comes in Champagne Gold, Gray and Silver. The new antenna lines on the M5 Note make the device look more attractive and stylish than any other M-series device. After 12 steps of double-layer sandblasting, the M5 Note feels great in the hand. 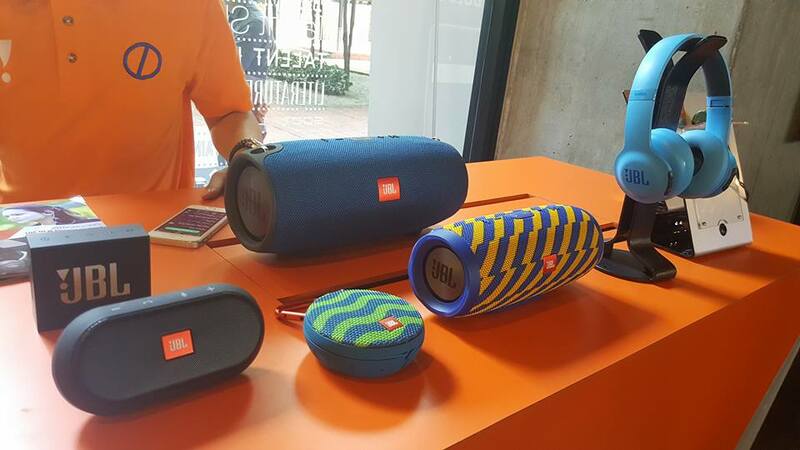 The M5 Note’s audio excels as the sound is amplified through unique rectangular outlets that were designed with CNC precision to produce a sound that’s more even and natural. 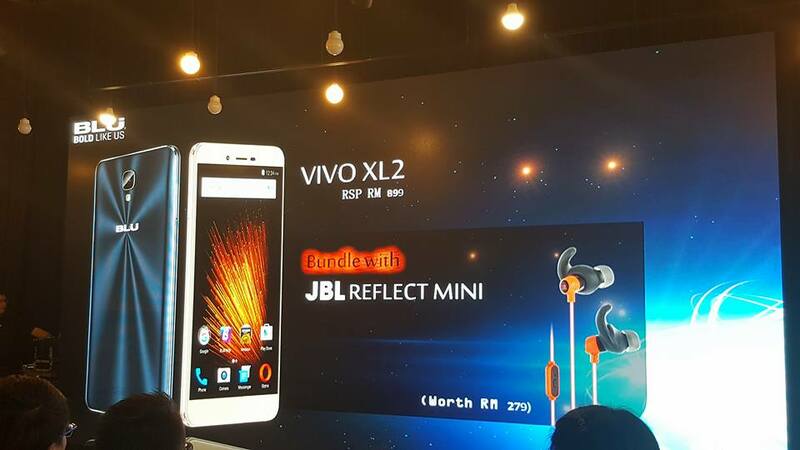 Equipped with a 5.5-inch Full HD display, it offers a more colourful, vivid and delicate viewing experience, while reducing eyestrain through its eye-protection mode. With its curved edges through the use of 2.5D glass, the M5 Note is a true pleasure to use. 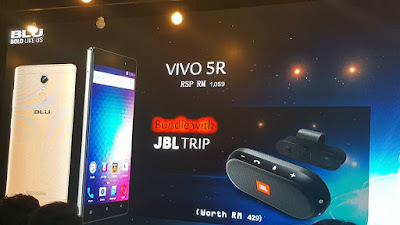 The note also includes the latest-generation 64-bit octa-core processor that delivers peak frequencies of up to 1.8GHz. Featuring 3GB of RAM, and storage of 32GB, there’s more than enough choice for every kind of user. Though only 8.1mm thin, the M5 Note offers a big 4000mAh battery, equipped with the best battery technology available to achieve performance that is unique in its price class. The M5 Note is carrying with a new generation of fast charging technology. Backed by 18W of power, it takes just 90 minutes to charge the MEIZU M5 Note, which is 40% faster than the charging times of previous models. The M5 Note also offers a fingerprint sensor, which you can use to unlock your device, as well as completing mobile payments. 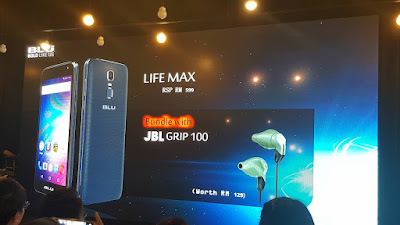 With the official launch of Meizu in Malaysia, their other predecessing smartphones will also be made available in local retail stores at an amazingly affordable price! For more information and further specifications on the latest Meizu smartphones, please visit their website at https://www.meizu.com. The most important part of your day might actually be at night. The amount of sleep you get has a huge influence on your day-to-day quality of life. As doctors learn more about sleep, they are realizing new things about sleep and its value in our daily lives. If you aren't getting enough sleep, this is something you should attempt to remedy as soon as possible. You will start to see some negative effects over time that could compound and have some serious long-term effects. The following are some reasons to get as much sleep as possible. 1. It can extend your life - Doctors are starting to notice a link between the amount of sleep a person gets and how long they live. One common link between sleep and health comes with blood pressure. Experts have observed that those that get less sleep tend to have higher blood pressure overall. Sleep is also a vital tool in helping a person's immune system develop and improve in preventing disease. 2. Stress - Feeling stressed out? You might want to look into your sleep schedule, especially with insomnia. Sleeping helps prevent your body from producing hormones that create stress in the body. The less you sleep, the more aroused your body is on a consistent basis. The more you sleep, the easier it is to wind down and relax during the day. 3. Concentration - So far, we have only discussed the physical benefits of getting more sleep. There are a lot of benefits to person's mental health as well as concentration, memory, and problem-solving skills. The cognitive effects that lack of sleep has on you can be very drastic. 4. Lose Weight - Lack of sleep can lead to weight gain. You can't eat if you are sleeping and people tend to favor sugary and fatty foods when they are sleep deprived because their bodies are doing whatever they can to get more energy to get through the day. If you are on a diet, add some extra sleep to your schedule. You may be surprised by the results. If you are having trouble sleeping, you might need a new mattress. Consider getting a pillow top mattress. They are proven to help people sleep better for longer. 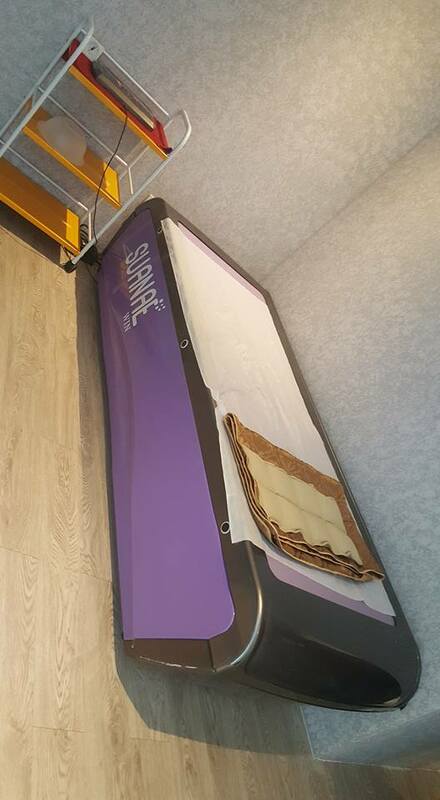 There are companies that sell your desired mattress Mesa AZ has to offer its residents like Kerby's Furniture that can help improve your sleep cycle. At some point during the time you live in your house, you're going to have some renovations done. Even the most well-maintained homes need repairs at some point. They can also be a great tool to improve the value of your home if you are looking to put it on the market. When the time for home renovations comes, you want to be sure to hire the right contractor. Not all contractors are the same. Some are more trustworthy than others and some are better at their jobs than others. You could end up spending a fortune if you end up choosing the wrong one. Here are a few tips to help you choose the right contractor for your next renovation project. - Be Patient - Patience is a virtue. This isn't like swinging through Walgreen's and getting some toothpaste. Take your time and do your homework to ensure you are making the best decisions for your house and your bank account. Part of this process is learning as much about the project you need before hiring someone. Knowing what permits you need and what kind of tools are required makes you an informed consumer. - Ask Around - Sure, there are a lot of reviews on contractors on the internet, but the best place to get a recommendation is from one of your neighbors. Most of them have probably had some work done and know the best local contractor to use. Chance are, if someone you know had a good experience, you will too. - Ask About Their Specialty - Most contractors have a certain discipline they specialize in. If you have a plumbing issue, hire someone who is a skilled plumber. Ask each contractor what they do best before making your choice so you know you are getting the best person for your job. - Don't Pay Too Much Up Front - A contractor that asks for a big downpayment may not be someone that you want to work with. It is common to pay a small down payment, but, if someone asks for a suspiciously high amount they may be untrustworthy. Leave no stone unturned when hiring your next contractor. There are a bunch of great services like web.com contractor services that can help match you and your job with the company. Check out free contractor leads. They will make it a quick and easy process, saving you a lot of time and money. This is a lazy Sunday for me, it's about caring and sharing. It's important having a tool box at home, for repair and maintenance works at home. This is a WD-40 multi use product you see above photo, it is useful for home and office. 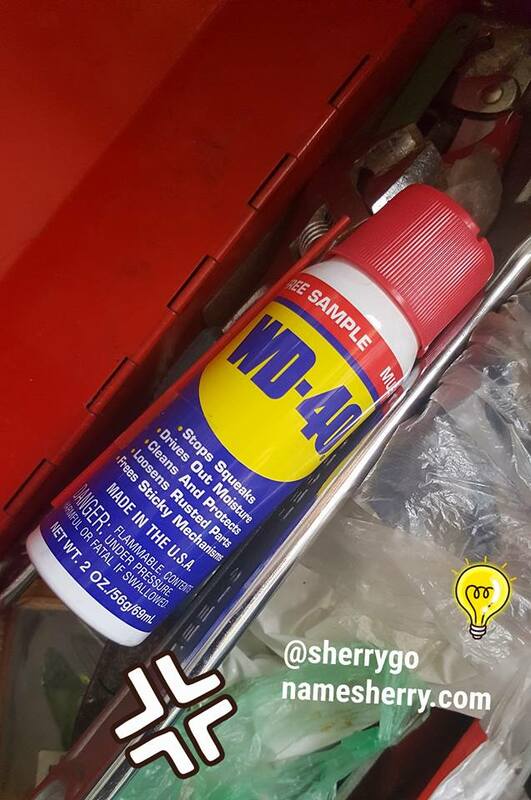 I have this in my tool box at home. Where to shop this? It can be found at many DIY shop. With the nozzle we can easily aim at the mark point to spray. Do shake well before use. 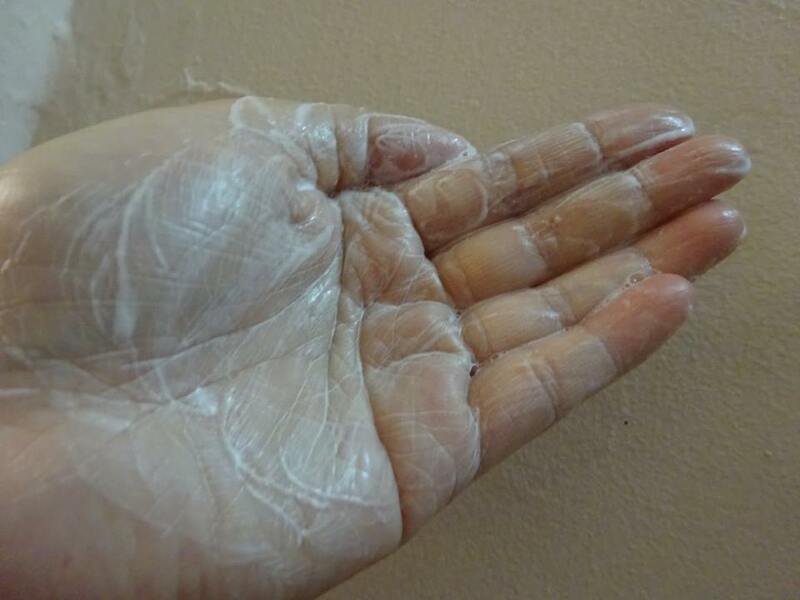 Keep this away from children. 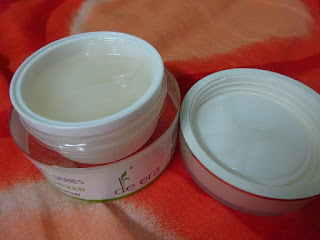 Don't look down on this small bottle of product, it is very useful at home. Not just for home but also on boat, car, bike. Easy used on the job, at home, on the farm and in recreation. Removes sap, bird droppings and other gunk from metal patio furniture. 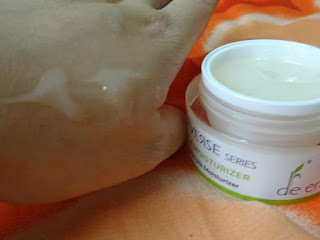 Many more useful way of using see below link. 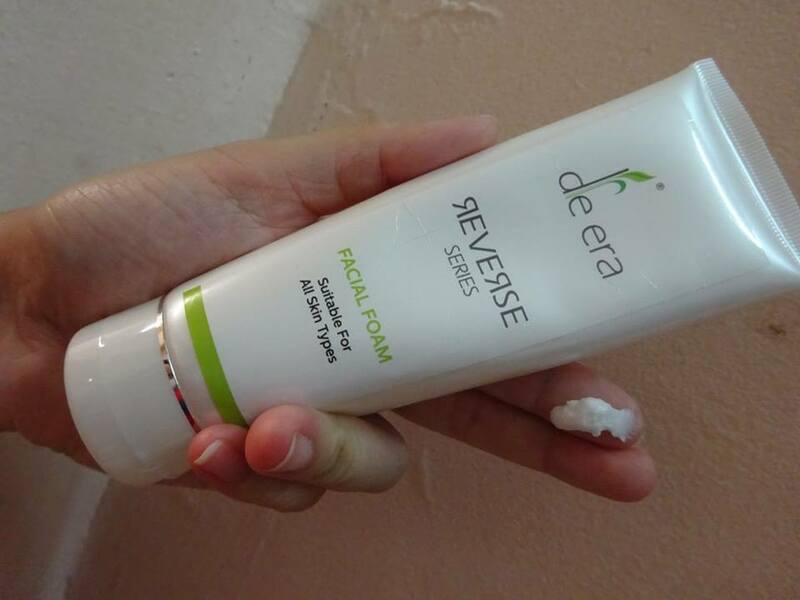 With more than 2000 uses way of using this product, you can also view the link for more details. 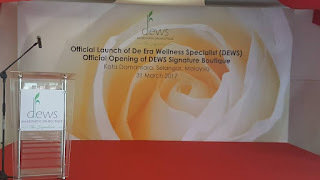 Being busy parent to two boys, I took time to attend the launch of DEWS at Kota Damansara by waze. 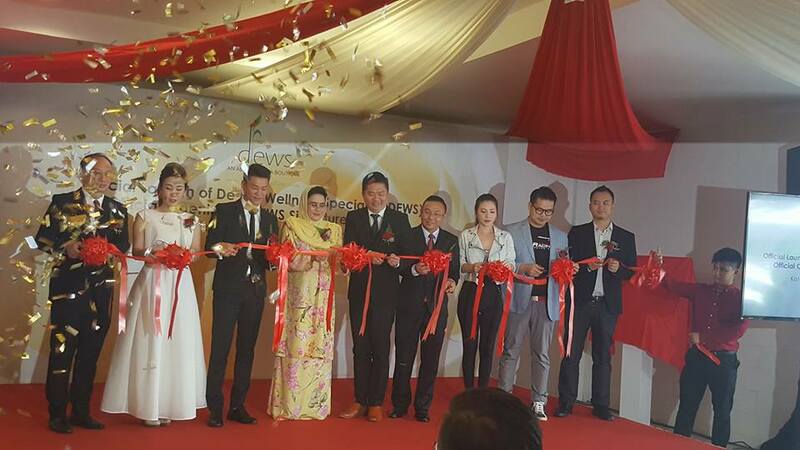 A holistic experience awaits those who seek complete wellness: preventive and restorative therapy and personal aesthetic care with the launch of De Era Wellness Specialist (DEWS), Malaysia's first comprehensive aesthetic spa. 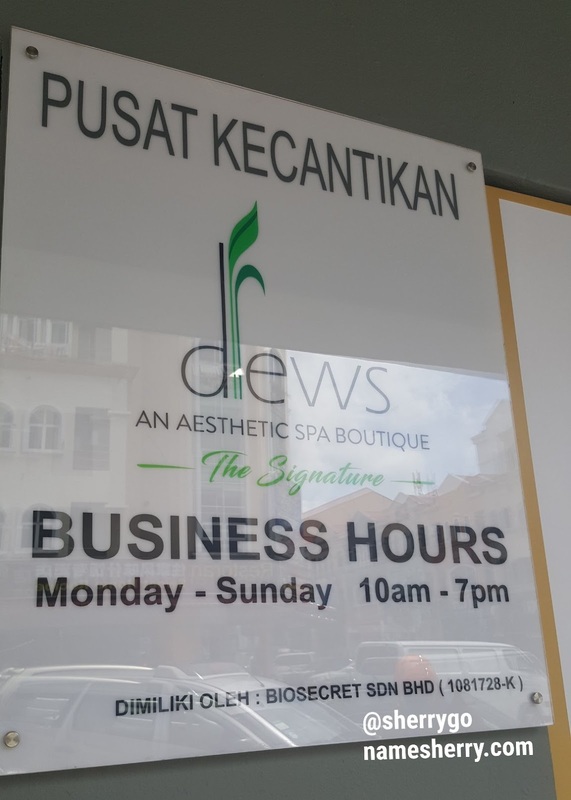 Strategically located in Kota Damansara, DEWS Signature Boutique is the brand's first flagship spa, which spans across 5,600 square feet and features fifteen private treatment rooms that can accommodate a total of 25 beds, men and women can both enjoy their treatment as there's men rooms at 1st floor and women room on 2nd floor. 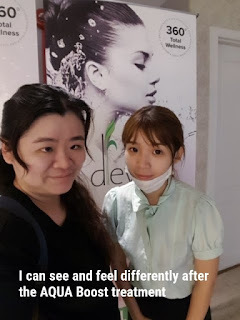 Supported by a team of aesthetic doctors, DEWS Aesthetic Spa brings a unique integrative functional medicine approach where professional counseling and guidance on the areas of wellness & beauty, nutrition and fitness is given to complement to recommend treatments for optimum results. 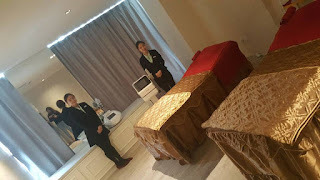 GMCI Chief Executive Officer, Mr. Calvin Chin explained that the concept behind homegrown aesthetic spa is about providing discerning clients with a total wellness approach, set within an exclusive, comfortable and luxurious environment. The skincare products you can view on my Facebook Album, click on it to view. 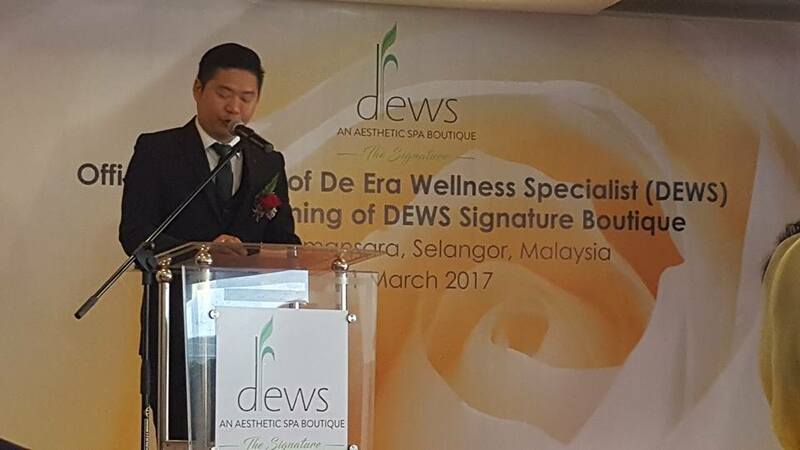 "The treatments we offer have been designed by our team of aesthetic doctors who carry out each treatment with the support of skilled specialists, complemented by industry leading technology and world-class facilities," added Chin at the launch of the DEWS Signature Boutique. 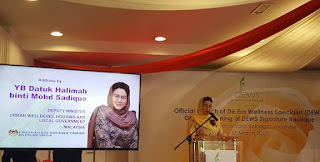 In line with its mission to improve the wellbeing of the community at large, the launch of DEWS was graced by the Deputy Minister of Urban Wellbeing, Housing & Local Government of Malaysia, Yang Berhormat Datuk Halimah binti Mohd. Sadique, who also officiated the opening of DEWS Signature Boutique in Kota Damansara. "At DEWS we see every client as a unique individual, with individual needs and desired end results. Following personalized consultation with our professional team, relevant treatments will be prescribed to best suit their needs, whether it is for external results or internal wellbeing. We are the first to offer this integrative functional medicine concept in Malaysia and we hope to be able to set the standard in the medical spa, healthy aging and wellness industry in the region," said DEWS Medical Advisor, Dr. Lim Woo Khai, who is also a certified physician by the European Center of Aging Research and Education. 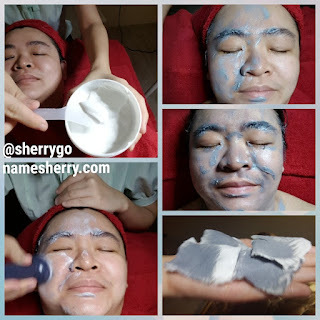 With treatments created for men and women alike, DEWS Aesthetic Spa rejuvenates the body from within and encourages a better quality of life through inner booster treatments, while outer booster treatments for face, body and hair brings confidence. DEWS is also the first to introduce the Aqua Bed treatment in Malaysia which provides excellent heat and acupressure effects. 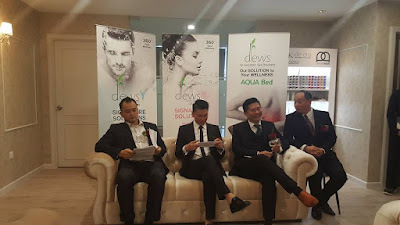 Client can also benefit from DEWS holistic signature treatments that feature a combination of therapies, boosters and leading technologies for optimum results, where they can choose from hydration, anti-aging, fair skin, scar management, anti-acne, weight management and intimate wellness treatments. They also have an outlet which open last month in Ipoh.